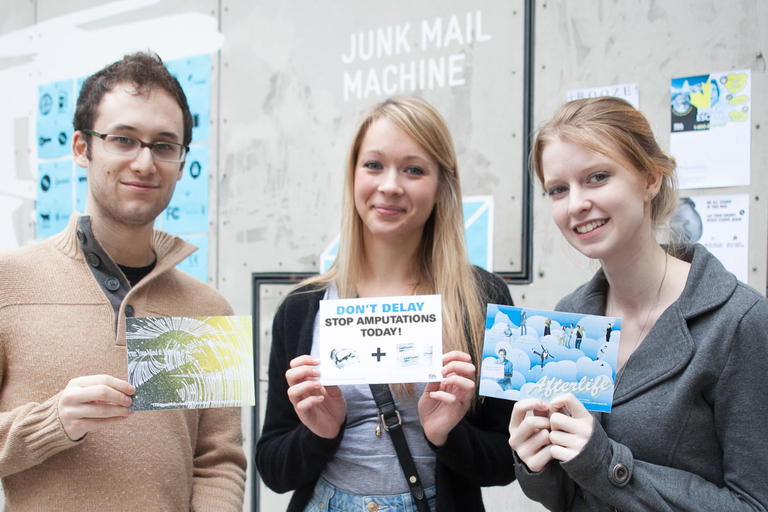 Junk Mail Machine, Extrapolation Factory. October 19, 2013. The Extrapolation Factory has built an experimental futuring machine which prompts visitors to envision new and augmented needs, as well as the businesses/services that might arise in response. 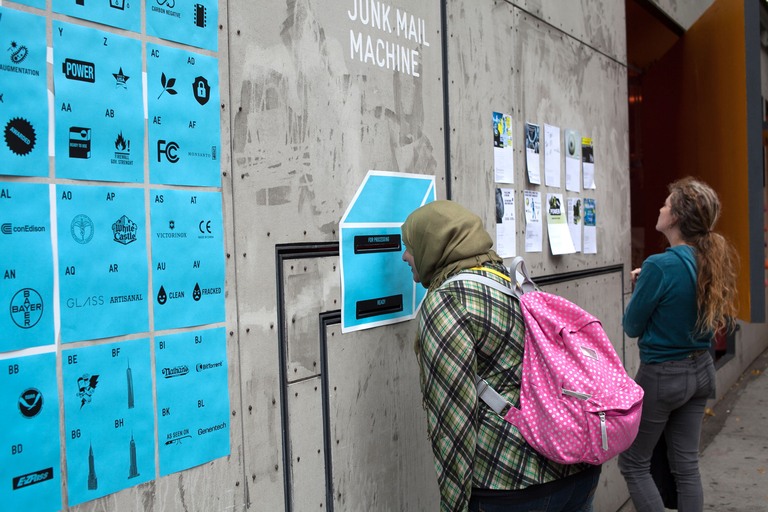 The Junk Mail Machine rapidly translates visitors’ future-visions into “future junk mail” – to be sent to an address of the visitor’s choice, as well as to be displayed in the exhibition space. 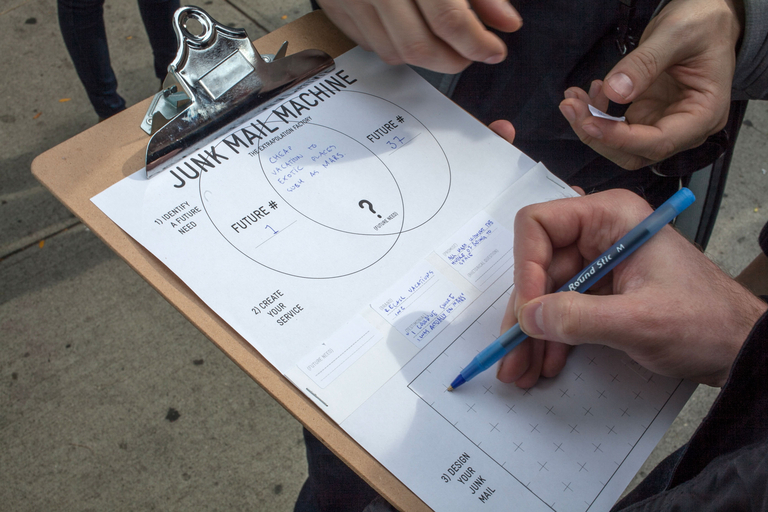 Junk mail outcomes might promote services such as: Future Malpractice Lawyers, Cheap Polygamy Divorce (get 2nd half price), Artisanal Bootlegged GMO, 1-800-DRONEINJURY, Reputation Index services, Alibi Services, Future Drugs, Canal Street DIY Biofuel, etc. This experiment proposes a process for imagining and visualizing diverse futures for New York City’s commerce, through the eyes of individuals. Visitors engaged with custom futuring tools, props, and diagrams to imagine these future scenarios. 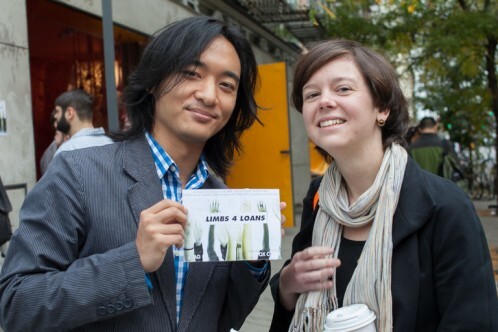 The resulting junk mail communicates these imagined outcomes, as well as implicitly hinting at the implications of the scenarios. 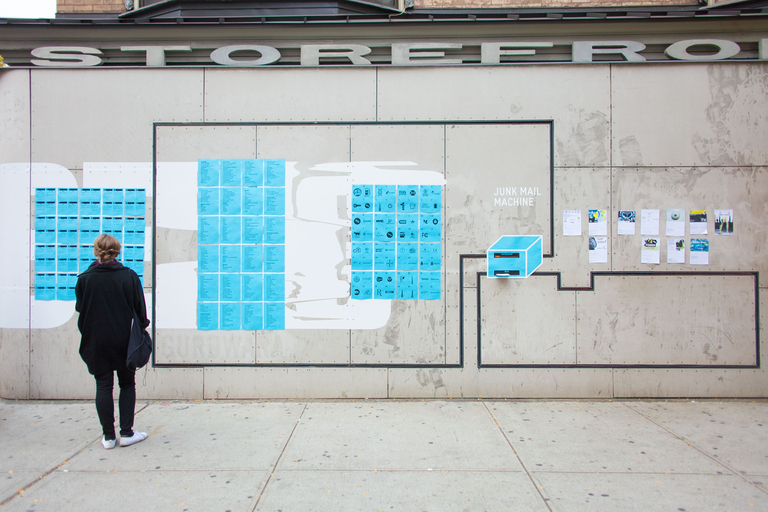 The Extrapolation Factory is an imagination-based studio for design-lead futures studies. We focus on developing future scenarios, embodied as artifacts in familiar, present-day contexts. 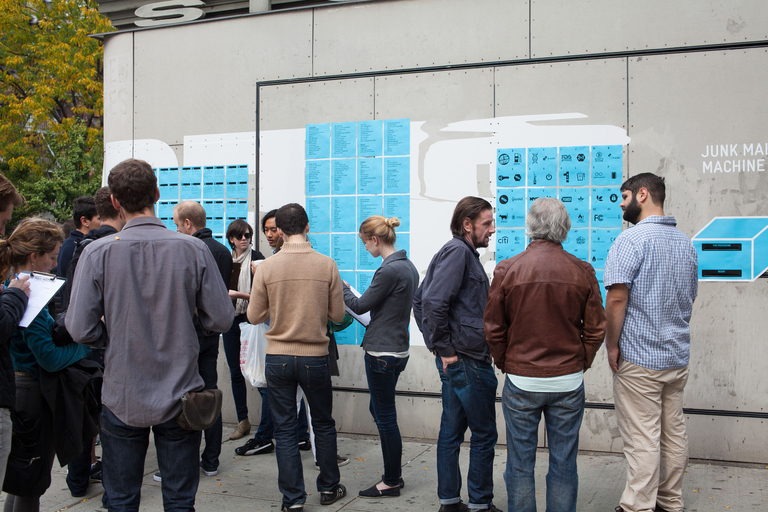 The studio proposes a method for collaboratively envisioning possible futures with diverse participants, experts and non-experts, and doing so in a variety of accessible ways. With this work, the Extrapolation Factory is examining the value of rapidly imagining, prototyping, deploying and evaluating ideas of possible futures on an extended time scale.